"The following are Fox Law Results that we are permitted to disclose to the public. Some of our settlements with public corporations include a confidentiality clause where we agree to keep our settlement results private. We cannot disclose those results." Fox Law obtained a $280,000 settlement in Philadelphia County on behalf of a 35-year-old woman who was a rear seat passenger in a vehicle operated by her husband when the vehicle was t-boned by another vehicle at an intersection in South Philadelphia. The client suffered a fracture of her lower ankle which required surgery and the placement of a plate and screws. The operator of the car who t-boned the vehicle in which the Fox Law client was a passenger had minimal coverage and therefore, the balance of the settlement money came from the client’s under-insurance motorist coverage. The settlement was further complicated by the fact that her husband was the operator of the car in which she was a passenger and he was found also to be comparatively negligent. Fox Law obtained a $175,000 settlement in Northeast Philadelphia on behalf of a 77-year-old woman who was a passenger in a vehicle that was involved in an accident with another vehicle. The operator of the vehicle in which the Fox Law client was a passenger was employed by a home care company who was using her own vehicle to transport the client to a medical appointment. The accident was caused by the operator of the home health care worker. Fox Law was able to obtain the entire coverage from the personal auto policy of the operator and then was able to proceed against the home care operator’s employer under its liability coverage. The client suffered a fractured wrist which required the placement of a plate and screws. She also suffered a head injury and fractured ribs. The settlement was particularly satisfying in that Fox Law was not only able to obtain the operator’s full policy limits but then was able to obtain a significant sum of money from the employer’s policy. Fox Law was able to obtain a $150,000 settlement for injuries received by a man who was injured in an accident at the Wells Fargo Center. The client had a pre-existing back condition and in fact was treating for his back within a few weeks of the accident. In addition, the client did not seek medical treatment arising from the accident for several months. Fox Law was able to obtain $150,000 settlement by relating the injuries to the accident by arguing that the accident aggravated the pre-existing condition which ultimately resulted in lower back surgery. Fox Law obtained a $100,000 settlement in Northeast Philadelphia on behalf of an 8-year-old boy who ran out into a street and was hit by a car traveling at a high rate of speed in a residential neighborhood. The case was difficult in that witness testimony showed that the boy ran out into the street. The boy suffered a broken arm and a broken leg. Fox Law was able to obtain the full $50,000 liability coverage from the operator of the car and an additional $50,000 from his parents’ underinsurance coverage. Fox Law obtained a $180,000 settlement on behalf of a man who was involved in an automobile accident when he was rear-ended while stopped at a stop sign. The settlement was difficult because the client had been involved in two prior accidents within the last three years of the subject accident injuring the same body parts. The client underwent back surgery after the third accident and Fox Law was able to argue that the third accident was the “straw that broke the camel’s back” and related the surgery to the third accident. Fox Law obtained a $50,000 settlement from a McDonald’s franchise involving an accident where the Fox Law client fell backwards as a result of a chair that broke in the McDonald’s restaurant. The client suffered a head injury and lower back injury. Fox Law was able to prove that the subject chair was in a defective condition and that the restaurant should have had notice of the defective condition before it broke. Fox Law was able to obtain a $100,000 settlement on behalf of an out of state woman who was involved in a car accident in Philadelphia. She injured her neck and knee. She underwent surgery for her knee. Two years before this subject accident, the client was involved in a car accident wherein she injured her neck and back. Many of the injuries she suffered in the prior accident were similar to the injuries she suffered in the more recent accident. Fox Law was able to distinguish the injuries through doctors tests. Fox Law was able to obtain a $55,000 settlement for a teenager that was accidentally shot with a pellet gun by a friend. The pellet lodged in the client’s neck and has not been removed. Other than the initial medical treatment, the wound has not required any care nor has it caused any physical symptomology. Fox Law was able to obtain the settlement despite no significant medical treatment. Fox Law obtained a $175,000 settlement in Chester County on behalf of a 70-year-old woman who was a passenger in a vehicle rear-ended by another vehicle. Prior to the accident, the client had severe pre-existing neck and back problems and was even considering surgery just before the accident. Following the accident, she underwent neck surgery but the claim was further complicated by the fact that she lost her balance and fell onto her kitchen floor hitting the refrigerator. Fox Law was able to obtain a favorable opinion from her orthopedic surgeon relating the necessity of the surgery to the motor vehicle accident. Fox Law obtained a $150,000 settlement in Delaware County on behalf of a 55-year old woman who was carrying her grandchild down a flight of steps when she suddenly fell from the top step to the bottom landing of the stairwell. The basis of the liability claim was that the stairwell did not have a hand rail on either side of the stairwell at the point where the client started to fall down the stairs. Fortunately, the infant child was not hurt but the client was knocked unconscious and suffered neck and arm injuries. Over time, the most significant injury was a post-traumatic concussion syndrome which caused mild memory loss, fatigue, blurred vision, headaches, dizziness and sleep problems. She also had deficits in executive function, cognitive processing speed, visual memory and emotional changes. She suffered a mild to moderate traumatic brain injury. Fox Law retained a neuropsychologist to evaluate the client who confirmed the above diagnosis and no doubt added value to her claim. Fox Law obtained a $97,000 settlement in Lehigh County on behalf of a 20 years old woman who was rear-ended by another motor vehicle which then caused her vehicle to hit a vehicle stopped in front of her. The client suffered a back injury but also had a pre-existing defect in her back which was asymptomatic. Fox Law retained an independent medical doctor to review all the client’s records and to examine her for the purpose of rendering an opinion that the accident aggravated her pre-existing asymptomatic condition. The doctor’s report was instrumental in convincing the insurance company to resolve the case. Fox Law obtained a $69,000 settlement in Philadelphia County on behalf of a 55-year-old man who fell backwards down a cement stairwell as he grabbed a hand rail that pulled out from the cinderblock wall. The client was a former football player at Temple University and had significant pre-existing injuries to his neck and back for which he was actively treating prior to the accident. The fall aggravated the pre-existing injury significantly but the case was complicated by the fact that the pre-accident condition and post-accident condition were difficult to differentiate. Fox Law was able to reach a settlement after obtaining favorable doctor reports supporting the argument that the injuries were aggravated as a result of the accident. Fox Law obtained a $90,000 settlement in Montgomery County on behalf of a 35-year-old man who suffered a rotator cuff tear injury from an automobile accident. The client underwent rotator cuff surgery and made an excellent recovery from the surgery. The insurance company filed motions for summary judgment to defeat the claim because the client elected limited tort coverage under his automobile policy. Fox Law defeated the motions for summary judgment and the case settled shortly thereafter. The case was pending in Montgomery County, PA.
A $75,000 jury verdict in Philadelphia County on behalf of a woman making a claim for damage to her ear (tinnitus) as a result of an operator of a trolley engaging the trolley horn for an excessive period of time as the operator vehicle was next to the trolley allegedly blocking the trolley from movement. 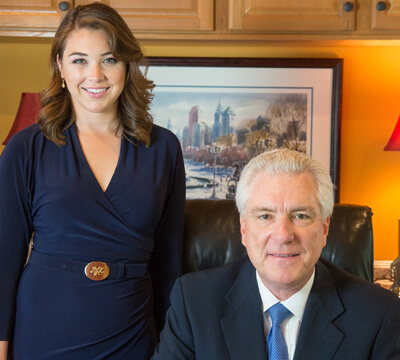 Fox Law overcame numerous legal issues and proceeding with the claim and prevailed at trial winning a $75,000 jury verdict on behalf of the client. SEPTA fought this case every step of the way due to the uniqueness of the claim. Fox Law obtained a $135,000 settlement in New Jersey on behalf of a 28-year-old woman who was side-swiped by a tractor trailer and then hit by another vehicle after she came to rest in the highway. The operator of the truck died in the accident. The client suffered what appeared to be soft tissue injuries in the beginning but unfortunately, a hip injury continued to bother her which ultimately resulted in surgery. Fox Law obtained a $221,000 settlement in Berks County on behalf of a client who was involved in an accident with a runaway tractor trailer which resulted in the death of several individuals. The client’s vehicle was impacted by the truck and ended up next to the operator of a vehicle who was killed in the accident. Fox Law’s client was traumatized by the observation of the operator of the vehicle that died and suffered post-traumatic stress disorder as a result of the accident. Fox Law retained numerous psychologists and neuro-psychologists to document the client’s post-traumatic stress disorder and how it affected his life. Fox Law obtains a $90,000 settlement in Philadelphia County on behalf of a client who tripped on a brick sidewalk which was missing a block as he proceeded to walk down the sidewalk. The client fell forward and injured his left wrist requiring surgery. The insurance company for the homeowner argued that the client was careless and did not observe where he was walking. Fox Law argued that the defect was covered by leaves and was not noticed by the client. Fox Law obtained full policy $100,000 settlement in Berks County from insurance company insuring a motor vehicle that hit pedestrian crossing a street in Reading, PA. The accident caused serious leg and head injuries. The settlement was reached within sixty (60) days of the accident. 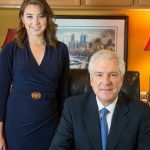 Fox Law obtained a full policy $100,000 settlement in Philadelphia County on behalf of a young college student who was injured in a motor vehicle accident operated by her father. As a result of the accident, the student suffered an eye injury. Fox Law retained eye doctor experts to support and render opinions about the injury and the permanency of the injury. A $72,500 settlement in Lehigh County was reached in a case involving a woman who was injured as a result of a motor vehicle impacting the right side of her vehicle in Allentown, PA. The accident caused neck and back injuries but no herniations. Fox Law retained doctors who were able to establish that she suffered a nerve injury evidenced by an EMG which added value to her case. A four hundred and sixty-three thousand dollar ($463,000) Jury Trial Verdict in Williamsport, PA against a truck driver who rear-ended another truck causing multiple head, neck, and leg injuries including herniated discs requiring lumbar surgery. A $240,000 settlement in Chester County has been reached in an automobile accident case where the plaintiff was rear-ended by a driver who was under the influence of drugs and was carrying a loaded handgun. She suffered double vision, TMJ, low back sprain and strain and a knee injury. She underwent no surgeries. The double vision symptoms became the most significant injury as the case developed. This case is a good example of how one injury may surface over time as your most significant injury; and why I advise accident victims to be very thorough in describing their injuries when they see their doctor immediately following an accident. See John Fox's Advice on "Documenting Your Car Accident Injury"
A one hundred and fifty thousand dollar ($150,000) settlement (full policy limits) in Philadelphia County was reached relating to a car accident case involving a passenger who was injured when the driver of the car fell asleep at the wheel on the way home from a Philadelphia Casino. The plaintiff fractured his forearm and was required to undergo surgery with the insertion of plates and screws. We were able to obtain the full policy limits from the driver of the car which was a rented car and also was able to obtain the full policy limits from the rental car company. A one hundred and fifteen thousand ($115,000) settlement in Chester County was reached in the case of a woman in her 80's who was previously healthy, and suffered neck and back injuries causing her health to quickly deteriorate following the accident. A one hundred and five thousand dollar ($105,000) settlement in Delaware County has been reached in a premises liability case where the plaintiff was injured falling down the defendant's basement stairs, breaking through the stair railing. The stairs and railing were old and in disrepair. The plaintiff sustained head and lower back injuries. The challenge in this case was that the plaintiff had a preexisting back condition and had treated 6 times in the ER within a year and a half before the accident, and as recently as 2 days before the accident. The defense argued that the plaintiff's chronic back condition would have caused him to be unable to perform his job as an EMT, regardless of the accident. We argued that the plaintiff was working as an EMT up until the accident, despite his pre-existing condition, but the accident exacerbated the condition to the point where the plaintiff was no longer able to do his job. For more on how to handle your pre-existing medical condition in your personal injury case, read "Do Not Let a Pre-Existing Medical Condition Sabotage Your Case". A one hundred thousand dollar ($100,000) settlement in Philadelphia County was reached within two months of an accident involving a foreign exchange student who was a pedestrian hit by a motor vehicle crossing the walkway near the University of Pennsylvania. She fractured her leg and was required to undergo surgery including the insertion of rods, plates and screws. We were able to present compelling evidence that the accident was not the fault of our client and presented this evidence quickly to the insurance company. To their credit, the insurance company acknowledged responsibility for the accident and tendered their full policy limits. In addition, we were able to obtain $10,000 in work loss benefits on behalf of our client through the policy of the driver who hit her. A seventy-five thousand dollar ($75,000) settlement in Reading, Pennsylvania, has been reached involving an accident that occurred in a hotel bathroom that had a slippery bathtub surface causing the plaintiff to slip and fall out of the tub severely injuring his leg. Relentless discovery in the case revealed that the hotel had prior notice of the slippery conditions in their bathtubs, which was key to resolving the case. The hotel argued that they had no notice of the slippery condition in the hotel in this particular room but through hard-fought discovery, we obtained maintenance records showing that they were installing slip resistant pads in several of the hotel rooms but had not reached the hotel room in question. In addition, we obtained discovery showing that the hotel had other incidents in other rooms involving slippery bathtub surfaces. A fifty thousand dollar ($50,000.00) settlement in Delaware County has been reached with Toys R Us in the case of a customer who sustained foot injuries resulting from a fire extinguisher that fell from a pole. There was an issue of notice, as the store had not had a problem with the extinguisher in the past and Toys R Us attorneys argued that the extinguisher met fire code standards. We argued that it was not adequately secured hanging from a pole located in the middle of a toy store. For more information, read the Pennsylvania Record’s News report on the case. A fifty thousand dollar ($50,000.00) settlement in Philadelphia County has been reached in a premises liability case where the plaintiff made a claim against an adjoining property owner who removed a tree from the property located very near the property line. Plaintiff tripped on roots that had been uprooted during the tree removal but those roots were actually on her property rather than the defendant’s property. As a result of the accident, plaintiff lost several of her teeth which required extensive dental work. A fifty thousand dollar ($50,000.00) settlement in Philadelphia County was reached involving an elderly woman who was walking on the edge of a sidewalk when she was confronted with a leashed dog which lunged toward her. She stepped back and tripped on a curb which was uneven with the sidewalk. She suffered a broken wrist and back in the accident. The case was difficult because the plaintiff was inconsistent in her version of the accident and where she fell. $115,000 Settlement on behalf of an 82-year-old woman in Chester County rear-ended by another vehicle while stopped for a red light. Plaintiff suffered chest contusions, back and leg injuries which required in-house nursing care for six months. The $115,000 was the total available insurance coverage for her claim. $100,000 Settlement in Philadelphia County against the hospital for failing to correct a raised sidewalk defect resulting in a rotator cuff injury to a 65-year-old woman who underwent surgery to repair the rotator cuff. $83,000 Arbitration award in Philadelphia County against the operator of the vehicle who hit vehicle backing into a street parking space. Impact was minor. Plaintiff claimed rotator cuff injury which eventually required surgery. Case was particularly difficult because the plaintiff complained of shoulder pain five months before the accident and was involved in another accident one month after the subject accident. The MRI showing a rotator cuff tear was performed after the second accident making it difficult to relate the rotator injury to subject accident. $50,000 Settlement in Delaware County for a woman who injured her foot when a fire extinguisher hanging on a pole in a toy store fell on her foot. $650,000 Settlement in Lehigh County against Pharmacy that incorrectly filled a thyroid prescription which required a microgram dosage but was filled with a milligram dosage 1,000 times stronger, initially causing the client to suffer stroke-like symptoms, ultimately resulting in thyroid storm requiring intubation and lengthy hospital stay and rehabilitation. $285,000 Settlement in Philadelphia County arising from a client who suffered severe heel fracture requiring plate and screws. The accident occurred when the client stepped on a ground surface Verizon box and the box lid flipped up causing her leg to drop three feet into the hole. $425,000 Settlement in Philadelphia County for 96 year old woman who fell in her condominium parking garage due to deteriorating concrete. As a result of her fall, she fractured her hip and suffered a cerebral hemorrhage requiring hip surgery and lengthy hospitalization and rehabilitation. The case was especially difficult due to the fact that the defective condition was repaired before anyone could take photographs of the defective condition. $200,000 Settlement in Philadelphia County arising from an auto accident on Walt Whitman Bridge causing the client to suffer cerebral hemorrhage and herniated discs. $425,000 Settlement in Chester County for a client who slipped on ice on street inside her trailer park community causing severe wrist fracture requiring two surgeries. $3,000,000 Settlement in Montgomery County for a man who fell through a stair opening negligently covered with insulation board material causing him to fall into the basement at the addition under construction at his home. He suffered severe injuries including a broken back and permanent nerve damage to his lower body. $1,800,000 Federal Court verdict for woman rear-ended by government van which necessitated brachial plexis surgery. The government’s final offer before commencement of trial was $95,000.00. $1,200,000 Montgomery County settlement for woman pedestrian hit by truck causing her to fall and hit her head. She suffered from significant cognitive deficits following the accident. $400,000 settlement in Philadelphia County for the operator of the vehicle who was broadsided by another vehicle causing herniated cervical disc and mild cognitive deficits. $300,000 settlement for woman injured by a drunk driver causing fractured ribs and broken arm requiring plates and screws. $275,000 settlement in Montgomery County for a construction worker who was hit on head by falling two inch by ten inch plank causing a herniated disc and rotator cuff tear. $230,000 settlement in Delaware County for country club administrator who tripped over phone wire temporarily placed in a room to demonstrate new phone system. She suffered an acute shoulder fracture which required surgery and extensive rehabilitation. $175,000 settlement in Philadelphia County for a woman rear-ended by another vehicle which caused cervical injury resulting in neck surgery. $150,000 uninsured motorist verdict in Philadelphia for a man involved in a motor vehicle accident causing a rotator cuff tear which was disputed by the insurance company. $125,000 settlement in Philadelphia County for a female pedestrian walking across the street who was hit by a motor vehicle causing her to suffer a fractured wrist and carpal tunnel injury. $65,000 settlement in Philadelphia County for a male pedestrian standing on a sidewalk who was hit by an out of control vehicle involved in an accident causing a fractured foot and nerve damage to her lower leg. $100,000 settlement in Philadelphia County (full homeowner’s policy limits) involving a woman hit by an out of control, unleashed large dog causing her to fracture her leg which required surgery and extensive physical therapy.